I love that word. It’s so simple, but it brings with it so many positive associations! Fruit. Ice cream. Family. Eating al fresco. I’m sure you have your own; those are mine. Besides all that, I love that I can pack a dessert full of fruit and then call it good for me… and then call it snack. And breakfast. And maybe lunch. Why not? Fruit+whole grains+healthy fats = a balanced(ish) meal, happy tummy, and happy soul. This post is rather short, as I’ve been a bit under the weather. I also loooove the photos, so this time, less is more! Life is short. Eat pie. Be happy! 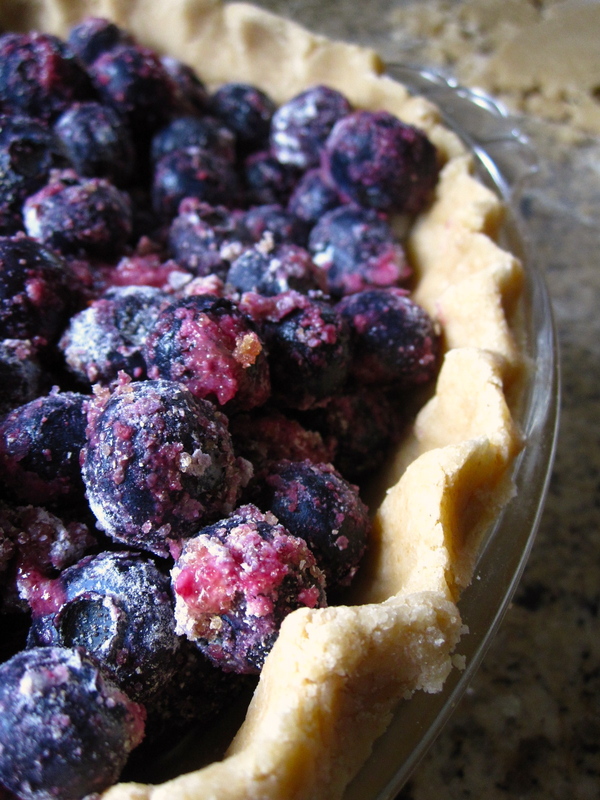 I used blueberries I’d frozen in the summer—if you use frozen fruit, no need to thaw it first. You can do this by hand, or use a food processor if you want to save time, like me. 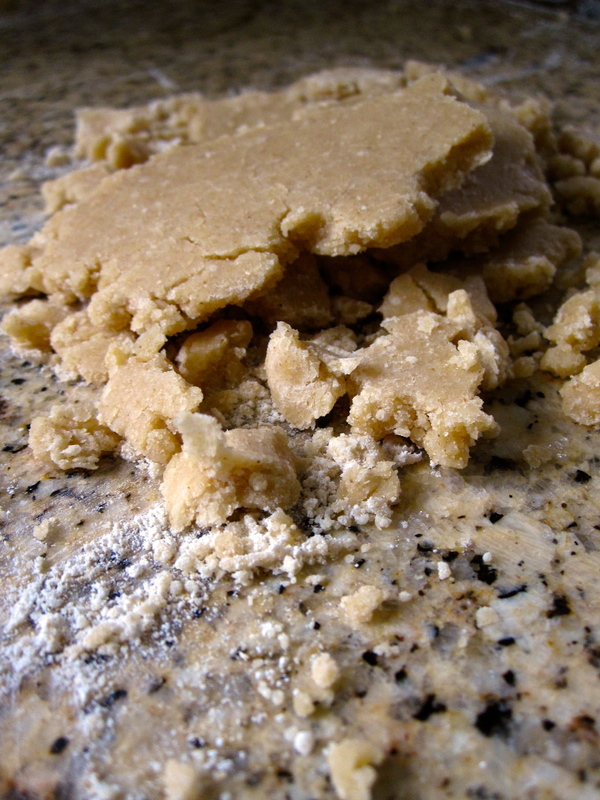 Food processor method: toss flour, salt, and sugar into the processor and pulse to combine. Add in solid coconut oil, and pulse again. It should start to come together when you pinch a bit. Pulse in 1/3 c ice water, until the dough starts to come together even more; adding ice water a tablespoon at a time until it holds together. You should be able to hold a handful without it disintegrating into crumbs. A few crumbly bits are okay, but it should be relatively easy to form it into a ball to roll out. Flour your work surface and rolling pin. Toss dough onto the freshly floured surface (or, if you’re smart, onto wax paper so you can pick it up easily… definitely remembered that trick *after* I rolled it all out on the counter, oops), and roll it out until it’ll fit into your pie dish of choice. I used a deep-ish one, so I had enough crust left over for a few decorations but not for a lattice. Gently lift crust into the pie pan, and crimp the edges so it looks nice! Prick the bottom a few times to prevent sogginess (no one wants that). 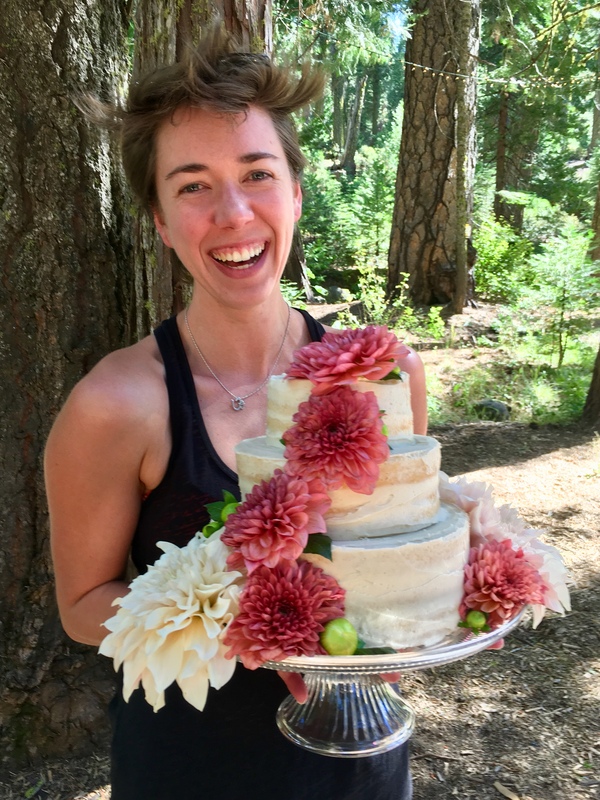 I baked mine immediately—if you’re going to wait a bit, wrap the ball of it in plastic wrap and store it in the fridge, letting it come to room temperature before rolling it out. enough blueberries to fill your pie pan of choice. I probably had 1.5-2 c, and could have used a bit more if I’d had them. *apologies for the indefinite measurements… when I make pie filling, I usually don’t measure and taste as I go! Preheat oven to 425, and make sure you have your prepared pie crust lurking around on hand somewhere. 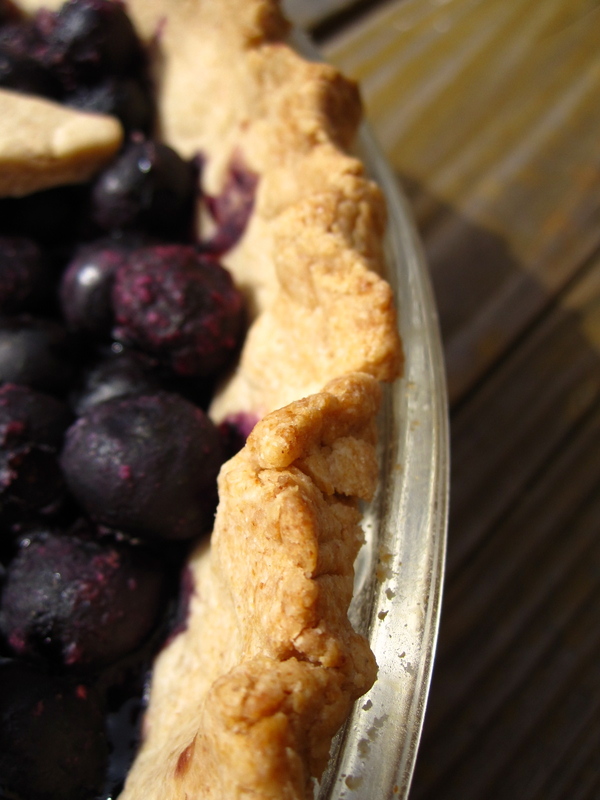 Toss blueberries with lemon juice, brown sugar, and flour in a large bowl. 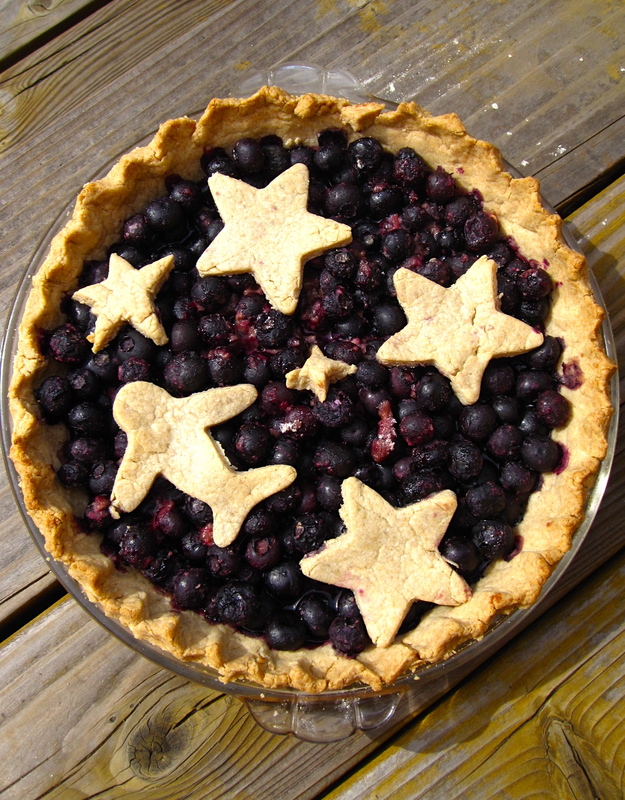 Add blueberries into the prepared pie crust. If you have leftover crust and want to roll it out so that you have an excuse to play with cookie cutters, by all means do so! Place little pieces of crust on top of blueberries, and pop the entire thing into the oven for 15 minutes on 425, then lower the temp to 350 for another 45 minutes. Pie is done when the juices are a little bubbly and the crust is browned. I like my blueberries to have more body and be less like soup, so I took mine out at the hour mark. 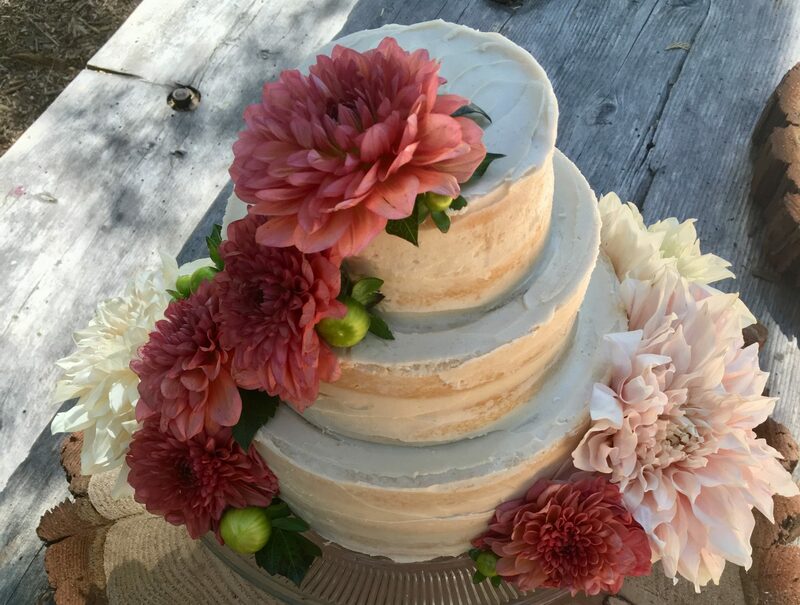 Let cool for a bit before slicing! 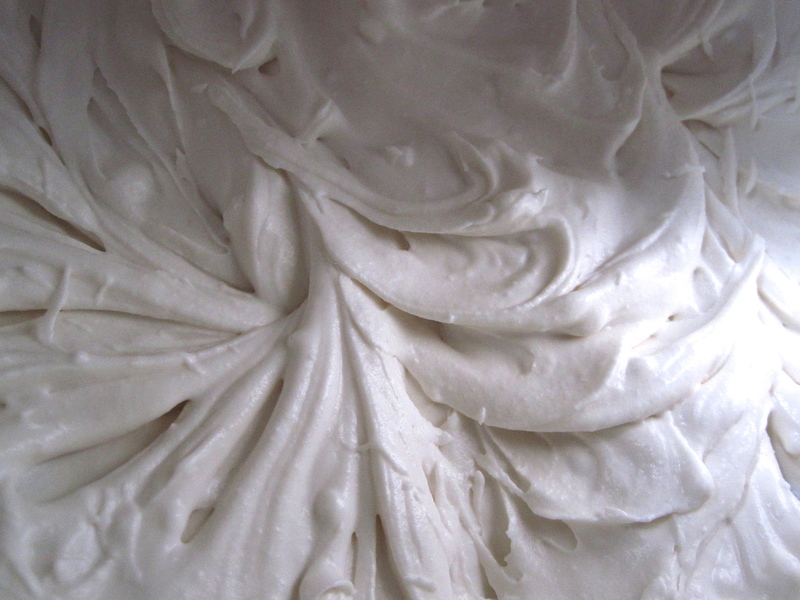 Pie stores well in the fridge for the next day’s breakfast… and is reeeeally good with whipped coconut cream. Just sayin’. 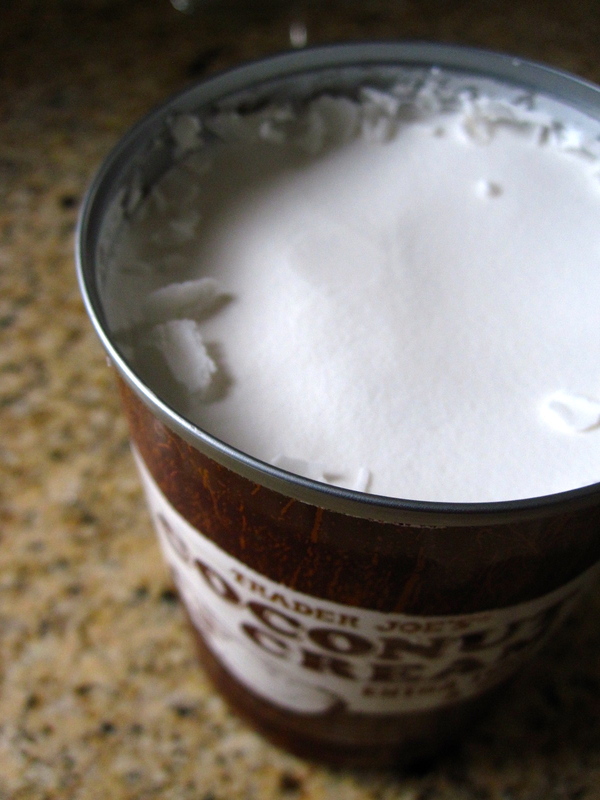 (I used a can of Trader Joe’s Coconut Cream, chilled it for a few hours, scraped off the cream and whipped it with an electric mixer. I added just a hint of vanilla and maple syrup). 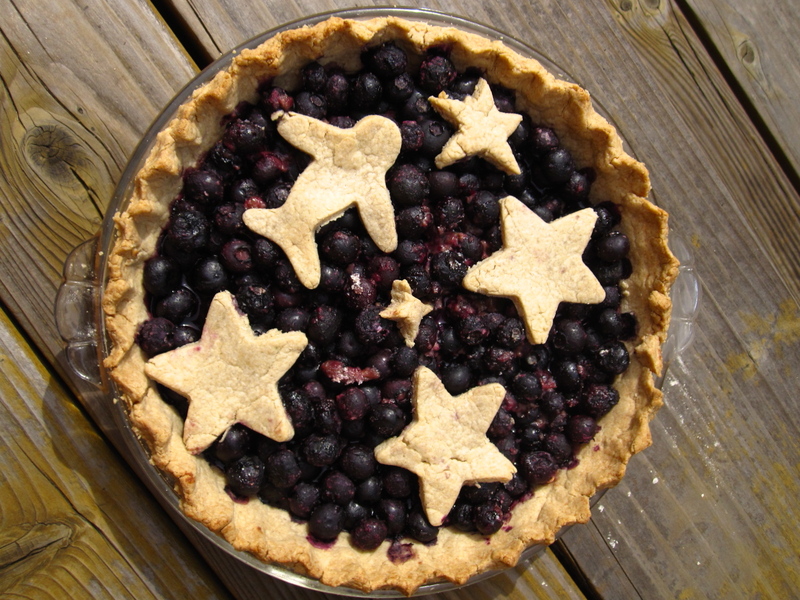 And one more… just because I happened to make this on Pi Day, and seriously, who doesn’t like extra pictures of pie?? At the rate you’re going, I’m pretty sure your parents are never going to let you move out. Just sayin’. This looks delicious, and adorable. A winning combo! hehehe. ORRRR you could just move back in and then I could feed you too! Seattle’s a bit too far away to be mailing whole pies, ya’ know?! This crust is far and away THE BEST tasting pie crust that I have ever had! Usually, I just put up with pie crust, or push it aside, but I went looking for remaining bits this time! 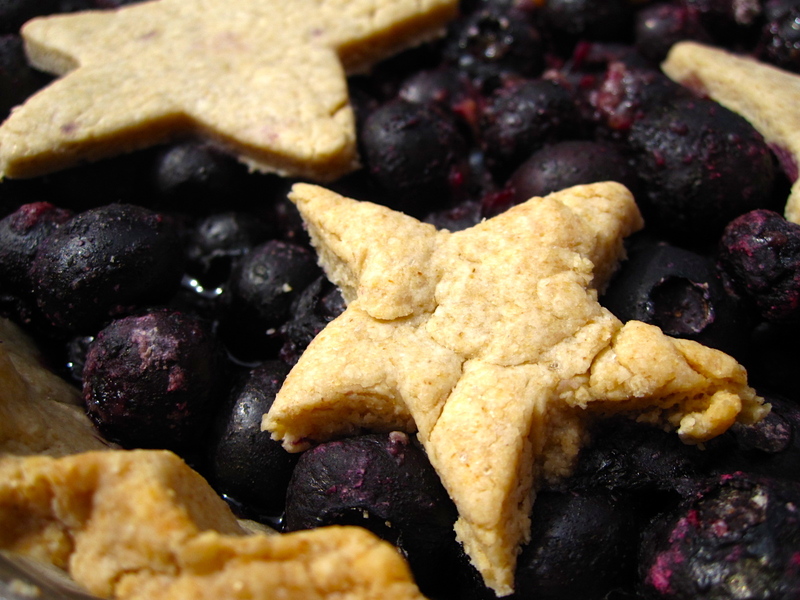 Yummy pie crust w/ blueberries?! Double score!